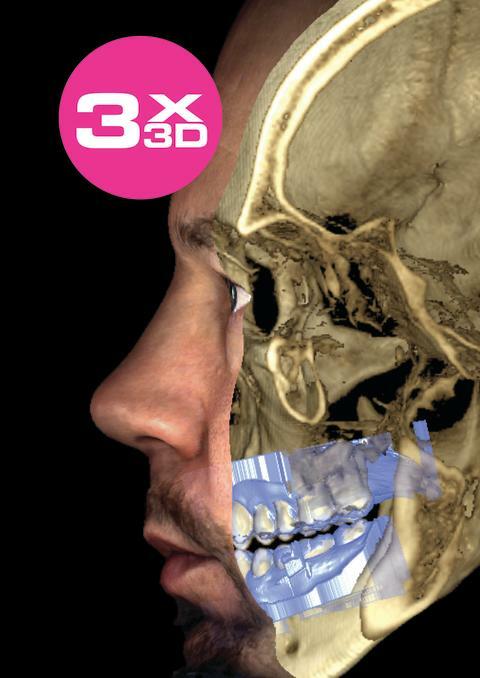 Planmeca’s 3D X-ray unit range now offers a unique combination of three different 3D data. With just one unit, the user can acquire a patient CBCT image, 3D face photo and 3D model scan, and combine these data in one software suite. Planmeca is the first to introduce this type of a concept. A virtual patient is created for different clinical needs. Planmeca ProFace® is a unique 3D face photo system available for the whole Planmeca ProMax 3D family. Designed to fulfil the most diverse diagnostic needs of today’s maxillofacial and dental professionals, the system generates both a 3D face photo and a CBCT volume in just one imaging session. This combination gives the medical or dental professionals an effective tool for planning operations, for communicating with colleagues and patients and for documenting follow-up images. The 3D photo can also be acquired separately in a completely radiation-free process. The Planmeca ProMax 3D family is an intelligent, all-in-one X-ray unit range designed to obtain complete information on patient anatomy in the minutest detail. The units provide digital panoramic, extraoral bitewing, cephalometric, and 3D CBCT imaging, 3D face photos and now also 3D model scans. The wide selection of volume sizes allows optimising the imaging area according to a specific diagnostic task – always complying with the best practices of dentistry and the ALARA (as low as reasonably achievable) principle to minimise radiation. All patient images are conveniently processed in a single software suite, Planmeca Romexis. Planmeca Oy is one of the world's largest dental equipment manufacturers with products distributed in over 120 countries worldwide. Headquartered in Helsinki, Finland, the company is a global leader in many fields of dental technology, with a product range covering digital dental units, world-class 2D and 3D imaging devices and comprehensive software solutions. Planmeca is also the largest privately held company in the field of dental equipment, with a strong commitment to pioneering in-house R&D and design. The Planmeca Group’s estimated turnover for 2013 is approximately EUR 760 million with over 2,500 employees.